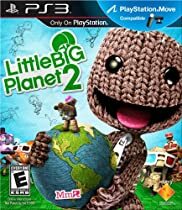 About This Game: Join Sackboy in a completely new adventure - filled with new abilities, new game play rules, innovative tools and a smarter LBP Network, evolving the Play, Create, Share experience. Successfully complete the following tasks to unlock the corresponding pin. Note: They don't count towards your pin total count!. Mm Picked! : Have one of your levels featured in Mm Picks. Platinum Club: Get the Platinum trophy for LittleBigPlanet 2. Royalty: Get awarded a Crown in LBP1 or LBP2. Special Friends: Be a jolly nice game developer-love from the folks at Mm. Who Needs Breakfast? (Bronze): Play LittleBigPlanet 2 before 9am. Just… One… More… Go… (Bronze): Play LittleBigPlanet 2 after 9pm.